I listen to a lot of bootstrapping podcasts throughout the year, trying new ones and retiring those that stop producing new episodes or I lose interest. I wrote up a list a while ago about bootstrapping, 7 Great Bootstrapping Podcasts to Jumpstart Your Business Today, and thought it was time for an update. I?m not including any bootstrapping podcasts from my previous list, only ones I?ve discovered and listen to on a regular basis today. The old list still includes some favorites so you should check that list out too. This list is not me pulling together a quick list but is curated since the last list. I have probably reduced 50 podcasts down to this final 8. ?I hope you find some new gems here. 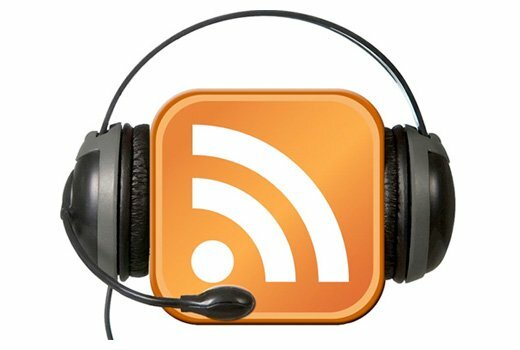 ConversionAid podcast has turned out to be one of my favorites. Hosted by Omer Khan, who is an ex-Microsoftie and runs ConversionAid to help companies ?create software that sells”. Omer interviews entrepreneurs who have taken an idea and oftentimes a unique approach to finding paying customers. The format gives listeners answers to the questions we all have trying to start and run a software or service business. Each episode seems to introduce a business and founder I never knew existed. Discovering new businesses, business models and their leaders gives new perspective to how I think about my business. Every episode has been great and makes me look forward to the next. a popular podcast and blog dedicated to the growing movement of location independent entrepreneurs worldwide. I advise you visit the website for each episode you listen to. If you just listen in iTunes or other podcast application you?re missing out. The show notes are as valuable, if not more, than the audio itself. You?ll find tons of shows notes, links that reference other episodes with similar content and not to mention the great comments from listeners. 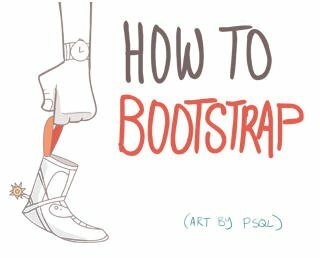 Hosted by fellow CT resident Brian Casel and left-coaster Jordan Gal, Bootstrapped Web is a podcast that chronicles the journey Brian and Jordan take bootstrapping their own businesses. Episodes discuss aspects of their businesses, updates and business lessons learned along the way as well as interviews with fellow entrepreneurs that compliment their own journey. I appreciate the candidness in each episode. It is so easy and natural to discuss all the wins we make each day but I think more important to reflect on the failures too so that we learn from them. Their guidance is solid and battle tested..great podcast. Hosted by Chris Hawkins, Chasing Product is an interview style podcast with people who have taken the leap to create software products. Chris reflects on his own pursuit of a product and the challenges he faces with a seemingly simple, yet elusive task. So many software developers are in jobs they don?t like and have that idea in their head they would like to create and live off of for years to come. These interviews profile many that have done just that; left their job and are living the dream. OK, maybe the dream isn?t exactly as they had envisioned but it is independence just the same. Great stories and Chris has a great radio voice. Enjoy! These are generally short interviews, 30 min or less, with entrepreneurs from the companies you have probably heard of before. The questions are laser-focused and give listeners actionable items to try in their own businesses. Each episode is has a single theme or takeaway but inevitably, you learn much more. These folks are entrepreneurs themselves and produce a lot of episodes, more than I can listen to..not sure how they do it. The win for me is the variety. A tough concept to grasp for so many is providing products and services to our clients in terms of value. Value is the language of business owners. As a software developer, I am learning this lesson. It?s easy to create things we think are worth building but no matter what we build, it has to have value to our customers or they won?t buy. Art of Value is all about creating those happy customers and earning more money. Episodes are interview format and talk with people from all types of businesses but focus on one theme..value. Transitioning from hourly to value pricing is my #1 focus in my own business today. Showing customers the value I can deliver vs. the commodity hourly resource my company has been over the years. This podcast has been key in my thinking about the why and how to make that move. Marketing is hard. Marketing is especially hard for developers and Marketing Optimization really helps distill down the concepts. Topics are broad but include everything from SEO to UX design to conversion optimization and beyond. ?Each episode is pretty deep, so at least for me it takes some focused listening. Another nice touch is that each episode has a video so you can watch the interviews. Never before in history has it been easier for talented individuals to escape the confines of the rat race society and go down their own path. ?Our hope is to inspire and educate you on how successful startup entrepreneurs have done that. ?This is no pie in the sky podcast with esoteric BS about business, Make Money Online schemes, and any other ?flash in the pan? type business. ?This is for people just like you and me who know there must be a better way, and want to find it. Hack The Entrepreneur ?is a show which reveals the fears, habits, and inner-battles behind big name entrepreneurs and those on the path to success. Hack The Entrepreneur is released three times per week on Monday,Tuesday, and Thursday mornings. On Hack the Entrepreneur we know that everyone is unique and has to find their own path to success, but after speaking to entrepreneurs every day as part of my own successful business I became obsessed with the idea of finding the ?replicable? things behind leading names and people on their way up to try to find patterns. The insight you gleam from each of these interviews is really priceless. It?s nice to learn about the angle we don?t normally hear about. These are the bootstrapping podcasts I?ve found and stuck with since the last list. I try new ones all the time and forget about the ones that don?t resonate and add value to my own pursuits. Suggestions are always welcome, please add those to the comments so I can give a listen. Thank you. I love podcasts. ?I listen to them in the car, walking or sometimes even when working. ?I can’t get enough of the good ones and you probably can’t either. Since attending MicroConf last week I can’t stop thinking about creating products, recurring revenue and talking about all the facets of running a product business. I thought I would pull together my short list of the podcasts for boots trappers, entrepreneurs, startups or whatever you might call yourself, that I listen to and gain value. Some of these I have just recently discovered, while others, I have been a fan since their inception. ? If there are some podcasts that should be on this list, please feel free to point them out in the comments. Rob Walling and Mike Taber, creators of MicroConf?have been producing this podcast for a long time. ?Startups for the Rest of Us is exactly what it sounds like, a podcast for regular people trying to startup a business. ? The format of the show begins with Rob and Mike talking about what’s going on with their own businesses and related products. ?Each show follows a theme where the duo discusses the focused topic. ?? Ian Landsman of HelpSpot fame and Andrey Butov?recently started Bootstrapped.fm and after listening to a few episodes I find myself looking for new episodes in iTunes.?? The format of each episode is similar to Startups for the Rest of Us, where Ian and Andrey discuss their bootstrapping adventures. ?It’s nice to hear different aspects of different types of bootstrapped software businesses, Ian with his SaaS application and Andrey with mobile applications. ? Lots of topics crossover, whether doing SaaS or mobile applications but there’s always valuable lessons to learn. Bootstrapped with Kids ?is also a recent addition to my podcast collection. ?Brecht Palombo?is the host and?who also gave a great attendee talk at MicroConf.? The topics are dear to the hearts of boostrappers and include product ideas and other aspects of the trade. Kyle Fox and Justin Jackson?are the hosts of Product People, a podcast I only recently discovered. ?It is quickly becoming one of my favorites. ? The interviews are with, you guessed it, people who are successful product builders. ?The interview style is very dynamic and doesn’t follow a script as you might have heard in other interview format podcasts. ?I continually find myself thinking of the questions I would ask the guests and as it happens, these guys are asking those questions. ?I’m sure the people who see me walking each day and nodding my head in agreement think I’m crazy. Mixergy is actually an old favorite I have mentioned here before. ?Andrew Warner does a fantastic job of interviewing entrepreneurs from all different industries and all different stories. ? Andrew is the marathon man of podcasting with tons of episodes and counting. ?Plenty of backlog to go through and enjoy. If you prefer the episodes are online and can watch the videos of Andrew interviewing his guests. ?The benefit is see the guests facial expressions, small but nice sometimes. Patrick McKenzie?is a highly respected bootstrapped entrepreneur in the software industry who speaks at a few conferences and draws a crowd. ?Patrick has discussions with various entrepreneurs ranging from angel investing to sales and marketing. ?The episodes are not very frequent but they are solid and very much worth the wait. ?Patrick includes transcripts in the podcast page so if you would rather digest the great material at a slower pace, it’s there. This is another relatively new discovery for me. ?The format is a series of interviews with entrepreneurs who have a wide range of skills, backgrounds and business types. ?Entrepreneur on Fire is a very active podcast and publishing episodes at a feverish pace (5 days a ?week), not sure I can keep up.